Whether it's boating, kayaking, paddle boarding or just lying on the beach soaking up the sunshine; the stunning white sand lagoon that is Matapouri Estuary is the perfect spot for the family! Safe swimming for small children. Main beach is just a short walk away. 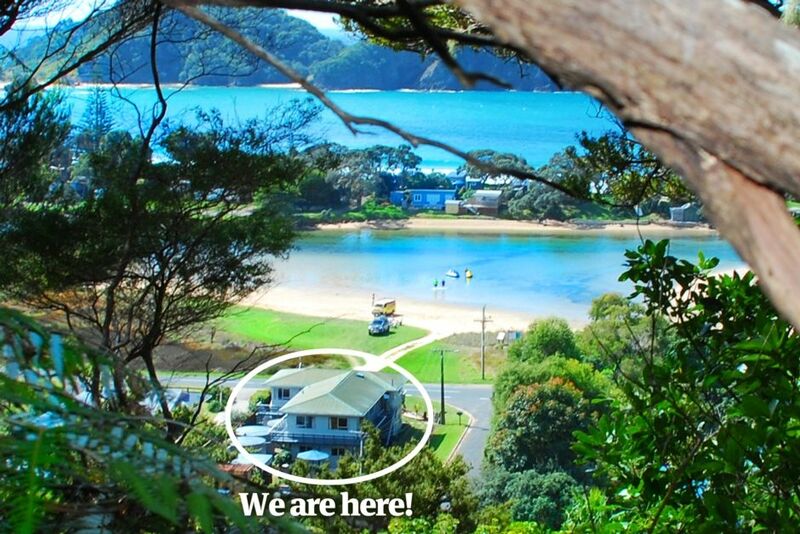 Only 10 min drive away from the Tutukaka Marina, close proximity to shops, restaurants, world class diving, game fishing and sight-seeing operators. Matapouri Bay is recognised by the Lonely Planet guide as being among the best beaches in New Zealand. Duvets andamp; pillows supplied. Cleaning products supplied. Cot andamp; highchair available on request. Boat access directly across road (with secure onsite parking). This is a 2x bedroom older motel unit. Fantastic location. Matapouri beach is incredible. The unit has cute retro furniture. Has everything you need. Although the accommodation was basic, the position was superb, right across from the lagoon and a short drive to the mermaid pools. Kayaks were provided and this really added to our experience. Fantasic location. Inadequately resourced and serviced. The location of this unit is amazing. However we did have a few issues with our stay. Firstly we had to email and ask for details on how to access the property 2 days before we left - they had not been provided. When we got there we found that the place was basically clean except for a vast amount of cobwebs in all corners of each room. As we have a child who is terrified of spiders this was a big problem for us. To make it worse there was no vacuum cleaner in the unit to use so we had to make do with a broom to try and remove all the cobwebs and spiders. The unit has a few basic supplies but I thought it was a little inadequate compared to other properties we have rented. For instance our booking was for 5 but there were only 4 plates and 4 bowls. There was no salt/pepper or sugar. There was no can opener which was very inconvenient and no oven mit which actually resulted in me burning myself. Unfortunately one of our children was sick and vomited during the night on one of the bedrooms. It was extremely difficult to clean this up with the limited cleaning products available, so we emailed the manager the apologise and let them know. Obviously it was hard to complete an exit clean without a vacuum cleaner. We inquired whether any of the upstairs units had one but the people up there said there's was broken. We received no reply to our email about the cleaning situation but did find an extra cleaning fee on our credit card the next day. I found this incredibly rude and annoying. Despite the amazing location and the presence of kayaks and paddleboards available to use we would never stay here again. The property was exactly as advertised, fairly old style, but very clean and comfortable. The location itself is absolutely fantastic and really suited our needs. Great location. Lovely beach and area.